Bech, S., & Zacharov, N. (2006). Perceptual Audio Evaluation – Theory, Method and Application. John Wiley & Sons, Ltd.
Berge, S., & Barett, N. (2010a). A New Method for B-format to Binaural Transcoding. 40th AES International Conference. Tokyo, Japan: Audio Engineering Society. Berge, S., & Barret, N. (2010b). High Angular Resolution Planewave Expansion. 2nd International Symposium on Ambisonics and Spherical Acoustics, (pp. 6-7). Paris, France. Blumlein, A. D. (1931). Patent No. British Patent Specification 394,325. Choisel, S., & Wickelmaier, F. (2007). Evaluation of Multichannel Reproduced Sound: Scaling Auditory Attributes Underlying Listener Preference. The Journal of the Acoustical Society of America, 388-400. Conover, W. J. (1999). Practical Nonparametric Statistics (3rd ed.). John Wiley & Sons, Inc.
Craven, P. G., & Gerzon, M. A. (1977). Patent No. 4,042,779. United States of America. Eargle, J. (2005). The Microphone Book. Focal Press. Fazenda, B. (2012). Lecture Material. M.Sc. Digital Media: Audio Production – Audio Post Production. United Kingdom: University of Salford. Fukada, A. (2001, June). A Challenge in Multichannel Music Recording. Audio Engineering Society, Paper Number 1881. Fukada, Tsujimoto, & Akita. (1997, September). Microphone Techniques for Ambient Sound on a Music Recording. Audio Engineering Society, Paper Number 4540. Gerzon, M. A. (1975). The Design of Precisely Coincident Microphone Arrays for Stereo and Surround Sound. Journal of the Audio Engineering Society, Prepint L-20. Heck, P., & Rieseberg, C. (2001). Comparison of the Four Different Microphone Arrays. Duesseldorf Universirty, Duesseldorf. Holman, T. (2010). Sound for Film and Television. Taylor & Francis. Howard, D. M., & Angus, J. A. (2009). Acoustics and Psychoacoustics (4th ed.). Oxford: Focal Press. Kassier, R., Hyun-Kook, L., Brookes, T., & Rumsey, F. (2005). An Informal Comparison Between Surround-Sound Microphone Techniques. The Journal of the Audio Engineering Society, Paper Number 6429. Katz, B. (2007). Mastering Audio: The Art and the Science (2nd ed.). Focal Press. Kornacki, A., Odya, P., Kostek, B., & Czyzewski, A. (2001, May). Problems Related to Surround Sound Production. Journal of the Audio Engineering Society, Paper Number 5374. Kuster, M. (2008). Reliability of Estimating the Room Volume from a Single Room. The Journal of the Acoustical Society of America 124(2), 982-993. Moylan, W. (2007). Understanding and Crafting the Mix – The Art of Recording. Focal Press. Paquier, M., & Koehl, V. (2011). Subjective Assessment of Microphone Arrays for Spatial Audio Recording. Forum Acusticum 2011, (pp. 2737-2742). Aalborg. Pohlmann, K. C., & Everest, E. A. (2001). Master Handbook of Acoustics. McGraw Hill. Preston, C. (2003). Adaptations of Stereo Microphone Techniques for Surround Sound. AES 24th International Conference: Multichannel Audio, The New Reality, (Paper 2). Banff. Preston, C. (2005, October). Alternative Approaches for Recording Surround Sound. AES Convention 119, (Paper Number 6623). New York. Rumsey, F., ZielinskiI, S., & Bech, S. (2008). On Some Biases Encountered in Modern Audio Quality Listening Test. The Journal of the Audio Engineering Society, 56(6), 56, 427 – 451. Schellstede, M., & Faller, C. (2007). Recording of Acoustical Concerts Using a Soundfield Microphone. AES Convention 112, (Paper Number 6996). Vienna. Sprent, P. (1989). 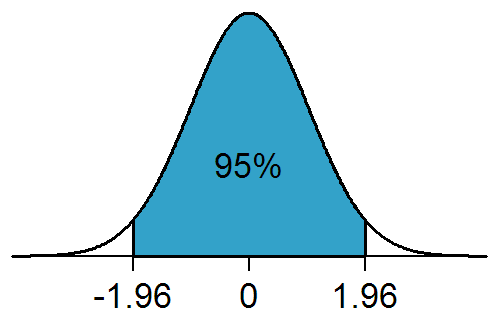 Applied Nonparametric Statistical Methods. Chapman and Hall. Sungyoung, K., Franscisco, M. d., Walker, K., Marui, A., & Martens, W. L. (2006). An Examination of the Influence of Musical Selection on Listener Preferences for Multichannel Microphone Technique. Audio Engineering Society Conference: 28th International Conference: The Future of Audio Technology–Surround and Beyond (Paper Number 9-2). Pitea: Audio Engineering Society. Williams, M., & Le Du, G. (1999, September). Microphone Array Analysis for Multichannel Sound Recording. Audio Engineering Soceity Convention 107, (Paper Number 4997). Williams, M., & Le Du, G. (2000, February). Multichannel Microphone Array Design. Audio Engineering Society Convention 108, (Paper Number 5157). Paris. Wuttke, J. (2005, October). Surround Recording of Music: Problems and Solutions. Audio Engineering Society Convention 119 (Paper Number 6556). New York: Audio Engineering Society.